Galaxy BlueBox is an external Dual Triple SIM cards adapter allowing to use 3 active SIM cards in simultaneous on your Samsung Galaxy S3 / S4 smartphone or other Samsung Android mobile phones. The Galaxy BlueBox transformer is the new generation of standby triple dual SIM adapter for Android OS which integrates a Bluetooth connection technology (wireless). Your Android smartphone becomes a Triple SIM phone and allows to have up to 3 SIM cards active at the same time on your Samsung Galaxy S3 and S4 or any other mobile phone working under Android OS. Discover the future of Triple SIM technology with Galaxy BlueBox Bluetooth Triple DualSIM adapter. Just insert your two SIM or Micro-SIM cards in the Galaxy BlueBox adapter, connect your device through the Bluetooth (wireless connection) and enjoy having 2 or 3 active numbers at the same time. You can have voice calls (real Dual sim or Triple SIM) and send/receive SMS with two or three SIM cards on your Android OS devices. Only 43 grams in credit card format, the Galaxy BlueBox Bluetooth DualSIM TripleSIM Converter integrates a vibrating alarm to not miss any call. 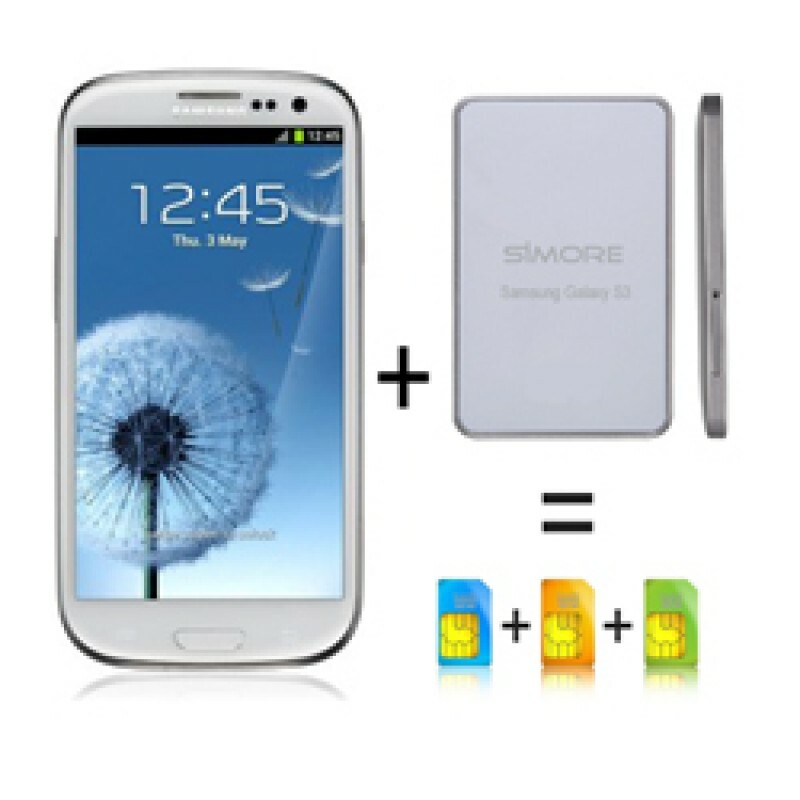 Transform your your Android smartphone into Dual or Triple SIM phone. Transform your Android tab into Dual SIM phone. This DualSIM TripleSIM transformer is a small, thin and lightweight Bluetooth accessory that fits easily in your pocket, your bag or wallet and communicates with your iOS or Android device via Bluetooth within 10 meters range. The long-lasting battery of Galaxy BlueBox Bluetooth adapter is rechargeable by USB.